Glyn R. Berry was a distinguished member of the Canadian Foreign Service, tragically killed in an act of terrorism while serving in Afghanistan in 2006. RHOMA donated $1,000 each year on behalf of its members to the Glyn R. Berry Memorial Scholarship. The endowment is now fully subscribed. Information on the Scholarship and how to donate to it is found below and on the Dalhousie University website. Glyn R. Berry was widely respected for his commitment to creating stability and peace in locations ravaged by strife, poverty, and hardship. To honour his memory, Dalhousie University, in partnership with the Department of Foreign Affairs and International Trade Canada (DFAIT), has established the Glyn R. Berry Memorial Scholarship in International Policy Studies. another area addressing Canada’s role in international affairs. The goal is to invest a minimum of $300,000 in order to provide $15,000 in financial support to students each year. DFAIT has committed $150,000 in matching funds provided the University raises an equal amount from non-government sources. To date, fund raising efforts have raised $80,000 towards Dalhousie’s portion of the fund. The financial support scholarships provide is one of the key factors enabling the best and brightest students to pursue graduate degrees. The world’s problems are increasingly being played out on the international stage. Nations no longer exist in isolation. There is a crucial need for scholars who have the depth and breadth of understanding in international affairs and defence and security policy to offer meaningful solutions. As the international community increasingly responds to disasters and crises through out the world, we need thoughtful, well-educated thinkers working in government, non-government organizations and other international bodies to make a difference that has a lasting and positive impact. The Glyn R. Berry Memorial Scholarship in International Policy Studies will ensure the important work of dedicated humanitarians like Glyn R. Berry will continue for generations to come. Details TBC – HOLD THE DATE! Dalhousie University would like to thank its donors for their generous contributions in support of this prestigious scholarship. David Morgan, BA, MA completed his undergraduate degree at Dalhousie University in 2009, graduating with First Class Honours in Political Science and International Development Studies. During his tenure at Dalhousie, he also participated in a two month field studies tour in East Africa in 2008, which has continued to inspire his interest in African politics and development. His studies subsequently brought him to the University of British Columbia, where he completed a SSHRC-funded Master of Arts in Political Science in 2011. His thesis examined peacebuilding initiatives in post-conflict environments, focusing specifically on demobilization and reintegration processes in northern Uganda. Currently, David is a research assistant with the Networks of Centres of Excellence’s multidisciplinary project on Children and Youth in Challenging Contexts, based out of Resilience Research Centre in Halifax, Nova Scotia. In September, 2012, he will be returning to Dalhousie University to pursue his doctoral research in political science. Funded by the Glyn R. Berry Memorial Scholarship in International Policy Studies, his research will explore the intersection of international and local conceptions of protection, with a focus on the ideologies, assumptions, and motivations that have underpinned Canada’s extensive involvement in advancing the international normative framework on civilian protection. Despite the growing international recognition of a “responsibility to protect” civilians from mass atrocities within their borders, an alarming gap remains between dialogue and practice in the field of civilian protection. Conventional explanations of peacebuilding frame their analyses within the norms and discourses that have shaped the work of international organizations and peacebuilders. The civilian protection framework in place today thus offers little recognition of the knowledge and experiences of civilians and communities caught within armed violence, thereby limiting our understanding of how, when, and why they ultimately survive. To address this notable gap in the literature, this study will explore both international and local conceptions of civilian protection, and how the intersection of the two shapes protection outcomes. By offering greater insight into the ideologies, assumptions, and discourses that underpin these external and internal approaches, it aims to bridge existing divides and expose mutually beneficial protection strategies that will inform future peacebuilding interventions. This study draws its inspiration from the passion of Glyn R. Berry, a senior Canadian diplomat and Dalhousie alumnus who devoted his life’s work to the protection of civilians when their governments proved unable to do so. Tragically, as Political Director for the Provincial Reconstruction Team in Kandahar, Afghanistan, Mr. Berry was killed in a terrorist attack on January 15, 2006, in pursuit of this goal. In recognition of his work and in line with the objectives of the Glyn R. Berry Memorial Scholarship in International Policy Studies, a fund established by Dalhousie University’s Department of Political Science to support doctoral research focusing on Canada’s role in international affairs, this study will further explore this country’s extensive involvement in advancing the international normative framework on civilian protection. By focusing on this established Canadian policy practice, which has been instrumental in developing such notable achievements as The Responsibility to Protect and such institutional innovations as the Stabilization and Reconstruction Task Force (START) on improving civilian protection efforts in Haiti, Afghanistan, and other fragile states, this research will examine the conceptual foundations of these peacebuilding initiatives and will evaluate the extent to which they complement civilian self-protection strategies on the ground. 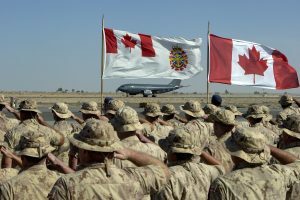 In doing so, it will identify the motivations and ideologies that underlie these practices and assess Canada’s continuing capacity to conceptualize and operationalize future policy relative to the protection of civilians.